the decorative frame underneath has..
texture paste applied first and when dry swipe ink randomly . Lov ethe overlap of the frames. The photo is stunning. Wow wow wow wow!!! You never cease to amaze me!! This is GORGEOUS!!! I loveeeeeeeeeeee the colors, that PHOTO, the flowers, the journaling!! JUST WOWWWWWWWWWWWWWWW! Happy Mother's Day!! Lovely colour combo to work with....I really like those clocks on the bg...neat!!!! This is so beautiful Heather, such a darling layout for your precious grand daughter! So sweet this page with all the notes and cool colors and amazing photo. STUNNING !!!!!!!!!!! !Amazing..you always do such a perfecrt work!! !This photo is cute at all, she look gorgeus !! Heather sweet and dear friens have a wonderful day with your family and a perfect week!! Love you a lot sweet !! !You leaving in my hart. A stunning page, Heather and your journalling is just perfect. 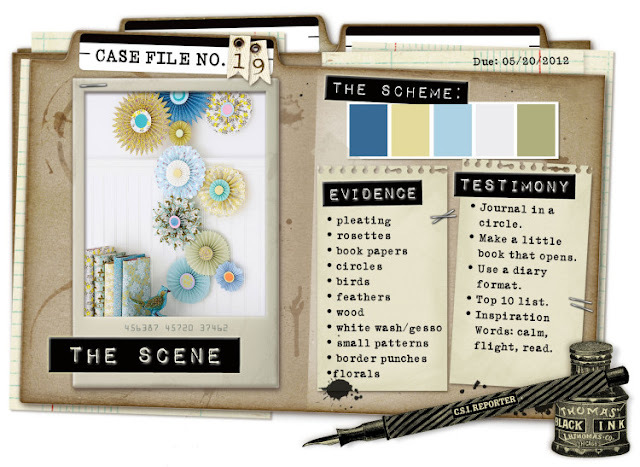 B E A U T I F U L. I love how you have worked with the blue, that gorgeous photo of Miss E and your journaling list. Fabulous. *howling with Julie and Lynnda* As you already know, blue is my favest colour of all and when I see it scrapped as beautifully as your page, I'm getting pretty close to Nirvana! My goodness, how photogenic Ella is!! Mwah!